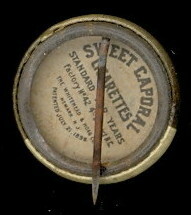 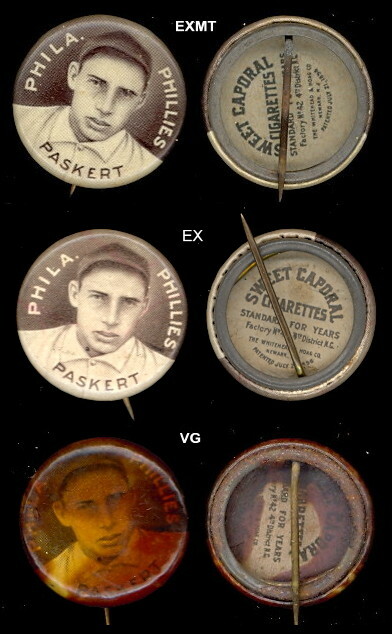 We're starting to build an inventory of Sweet Caporal Pins. 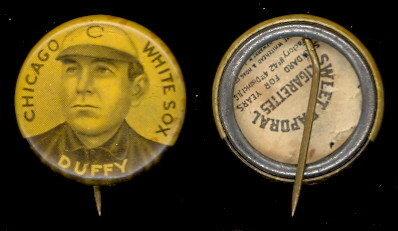 The Set includes 152 different Players, with 205 different Pins. 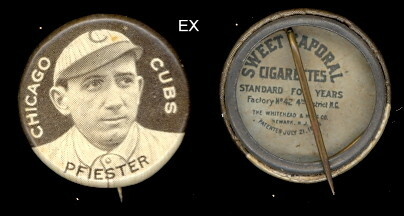 There are numerous "large letter" and "small letter" variations. 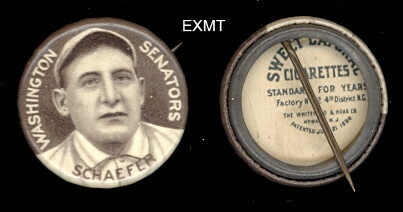 47 Players have a second Pin and 3 Players, Bresnahan , Mullin & Wallace have 3 each. 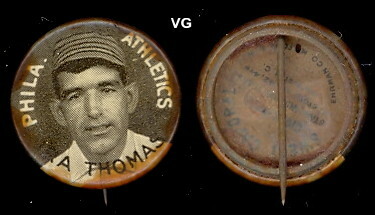 They measure 7/8" in diameter. 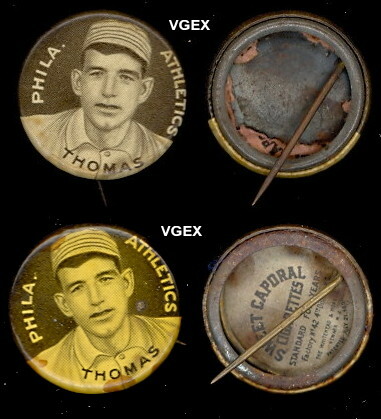 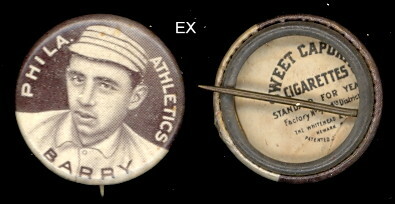 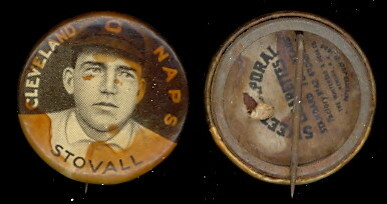 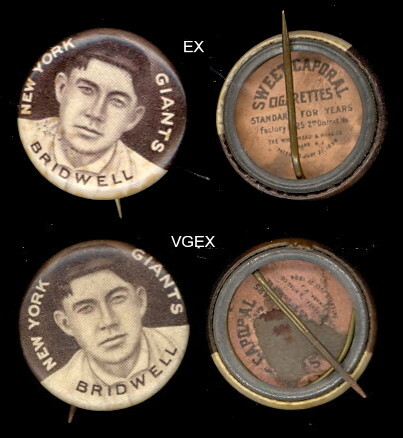 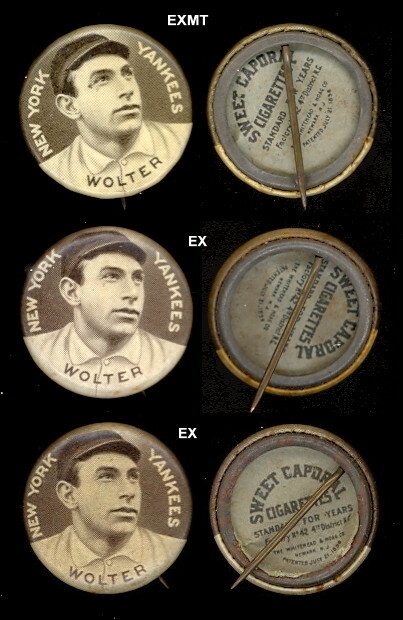 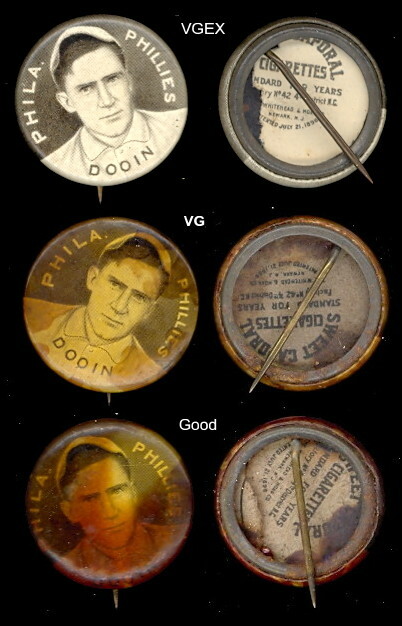 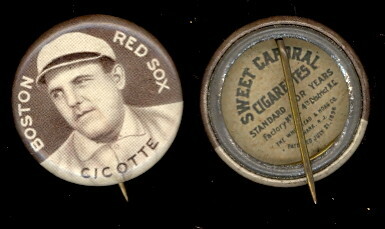 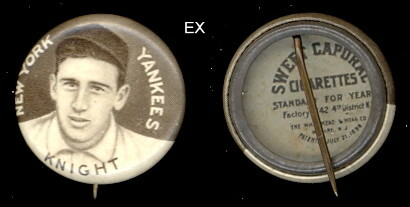 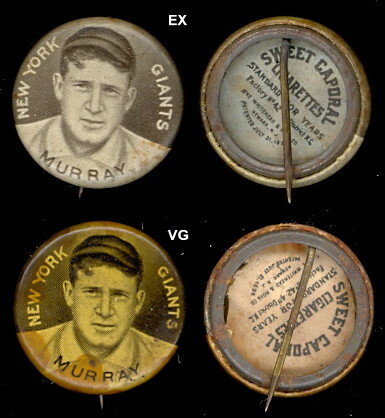 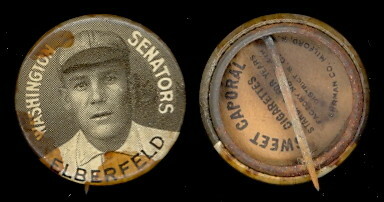 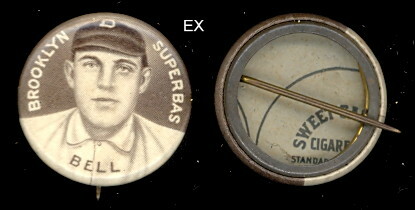 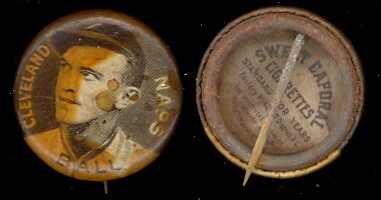 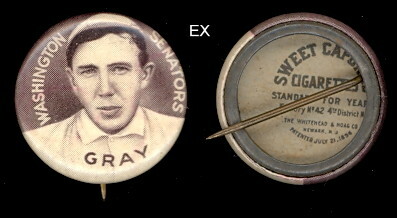 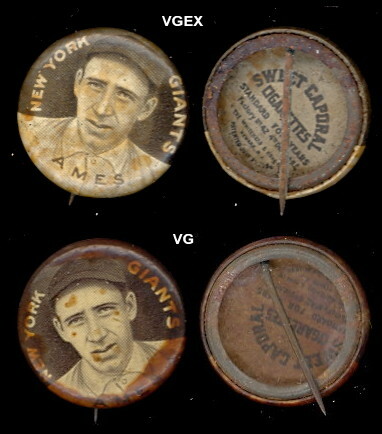 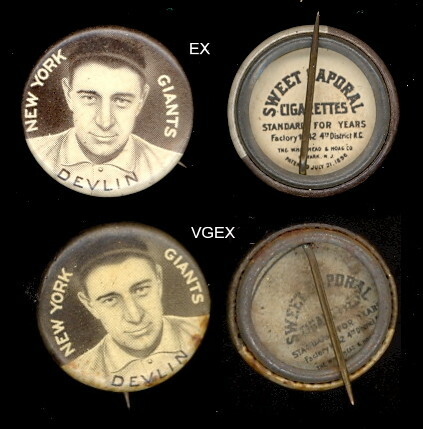 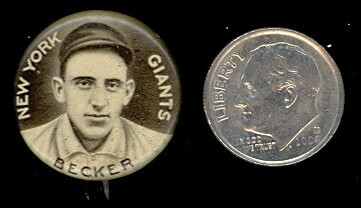 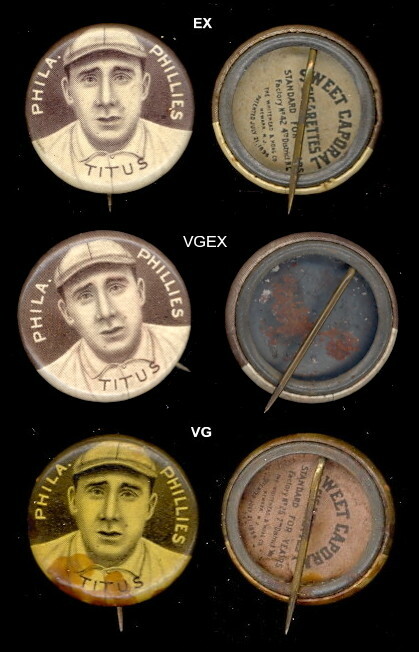 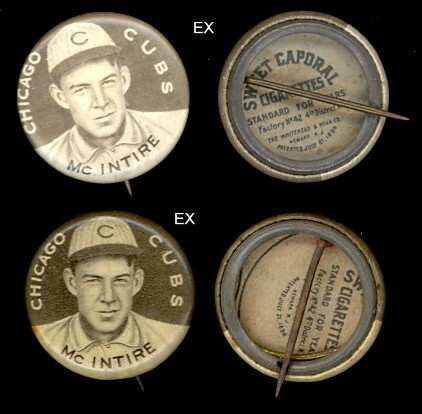 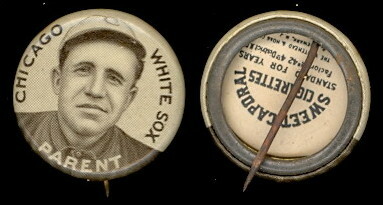 The front of each pin is sepia colored with the Players picture and Team. 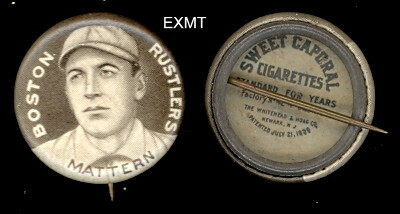 They are closly related to the T205 Tobacco Series. 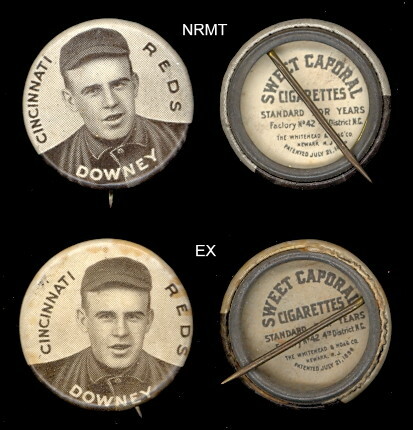 The backs have variously colored paper inserts with the Sweet Cap advertisment.